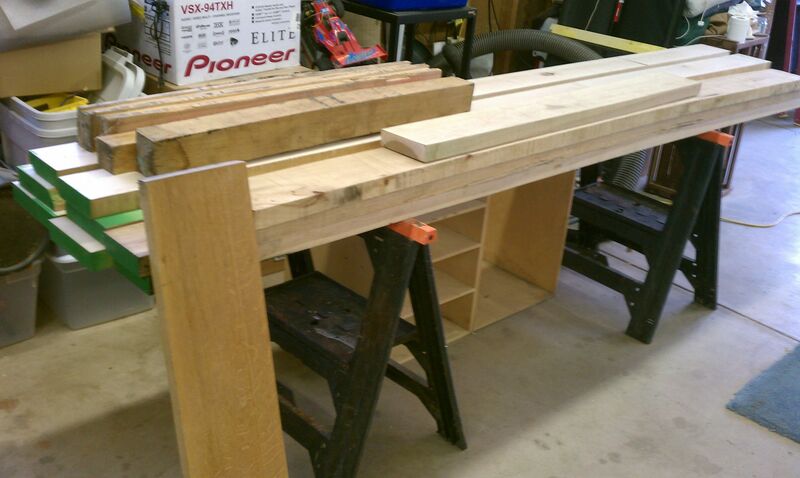 As many woodworkers know, the first big test of your woodworking skills is to build your own workbench. 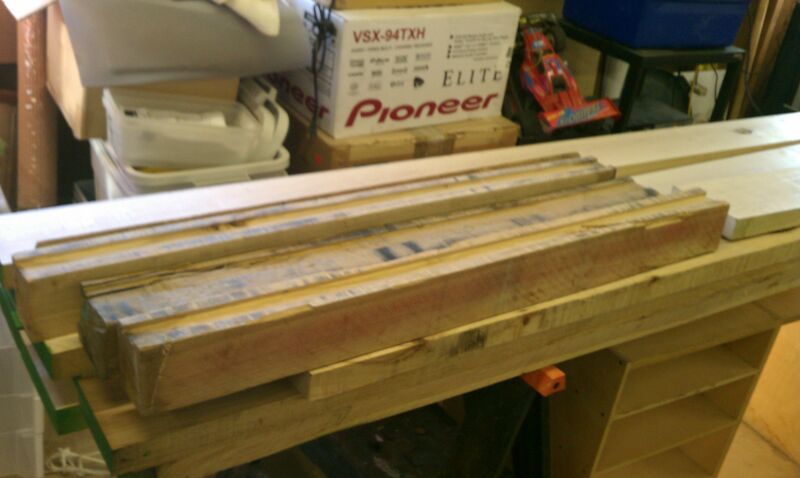 Since I have over 1000sq ft of shop space, I am actually going to build three benches in total. 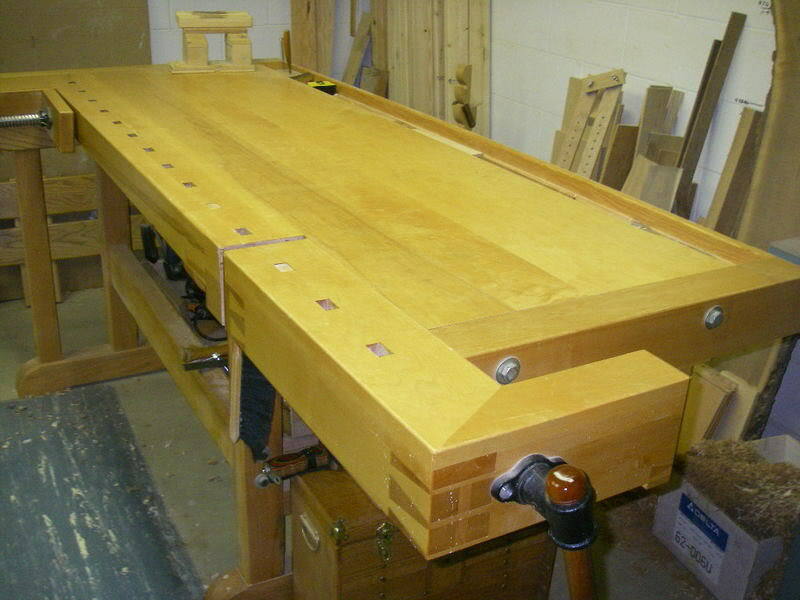 The first will be my version of the Frank Klausz workbench. Here is an example. I will start with this bench. This is very similar to benches that I have used (but never owned). It will help greatly when it comes time to build the other two benches. 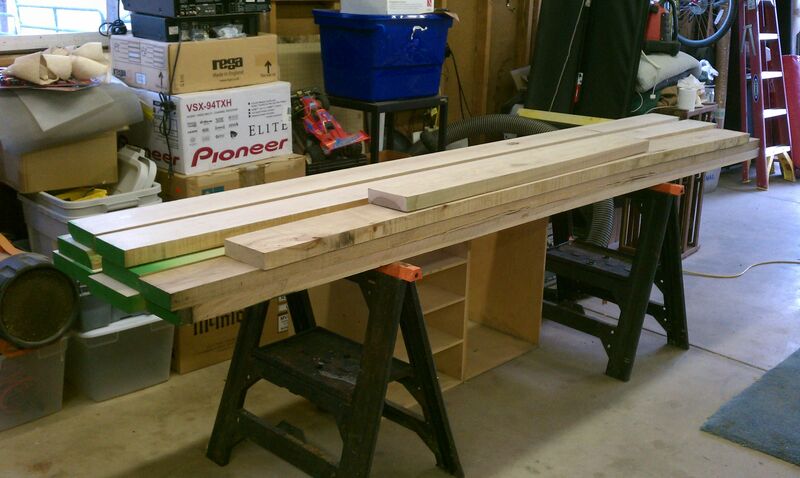 The second will be a Roubo bench. I know that it is in great fashion to build a Roubo right now, but that’s not influencing my decision. I build quite a few odd things, and I think the leg vise with a dead man will be very useful. The third bench will be a low assembly bench with clamp and tool storage underneath. After a trip to the lumberyard, I discovered that 8/4 hard maple was the least expensive choice. 8/4 hickory was almost as cheap. 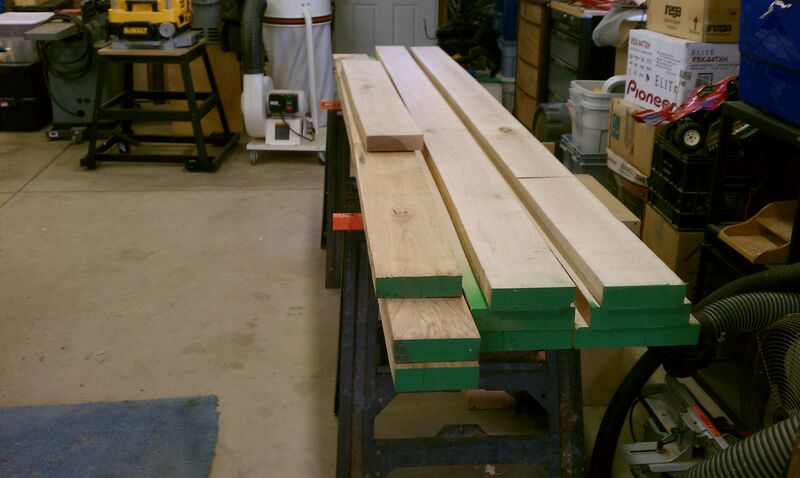 I will be using mostly 8/4 maple for the benchtop, andsome hickory for the support structure. 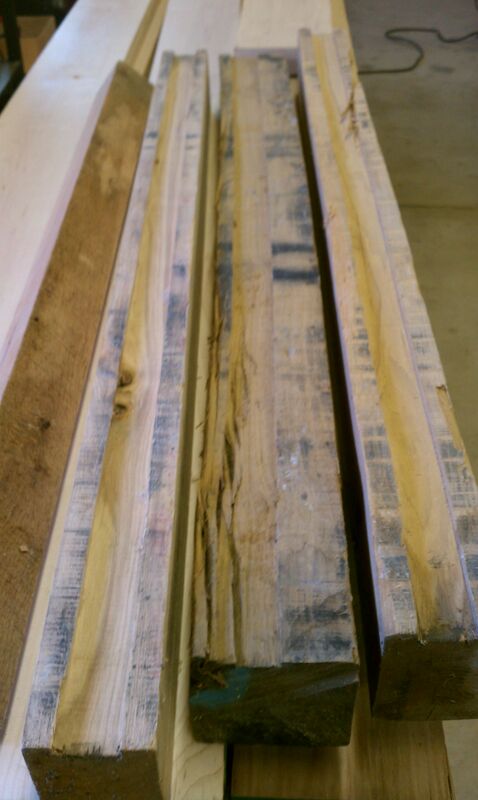 A good portion of the legs and braces are reclaimed hickory and red oak. These are sticker pieces I’ve been given from the lumber delivery drivers through the years. They are aged, dry, and free, so I’ll use them. For the rest of the parts, I’ve glued up 8/4 hickory. After some glue up and milling, it’s time to layout the joinery for the base parts. 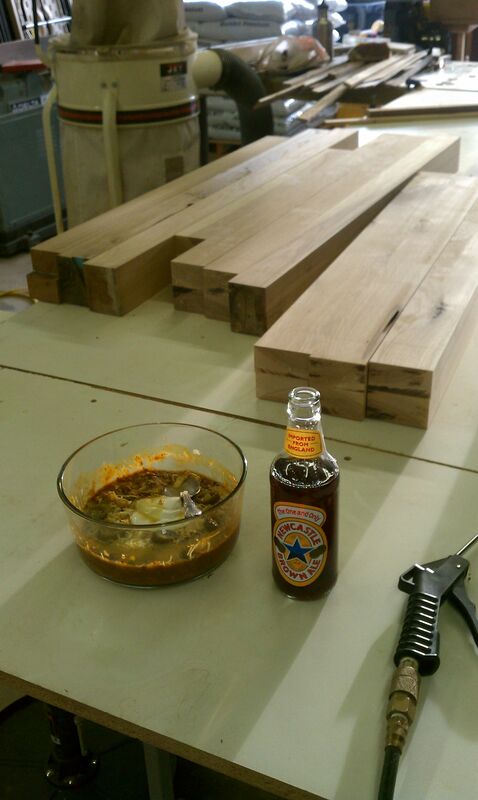 Cheers to my first workbench!